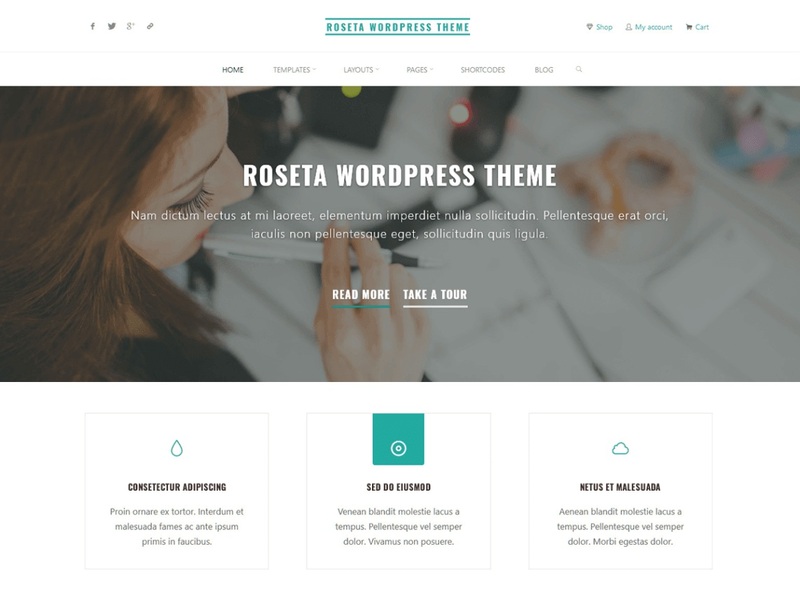 Roseta – A fast, clean and highly customizable theme. It’s beautiful and multi-purpose – use it for your blog, online portfolio, business website or WooCommerce store. It’s lightweight, mobile-friendly and responsive, created with SEO in mind (taking full advantage of microformats and Schema.org microdata that search engines love). Some of the amazing features include: Responsive / WooCommerce / RTL / Translation Ready / Google Fonts / Gutenberg support / Regular updates. Some of the many customizable aspects include: Layouts (Wide and Boxed) / Site widths / Header elements / Featured images / Colors / Post-metal / Widgets areas / Landing page elements / Slider / Typography / Masonry bricks / Socials and much more.